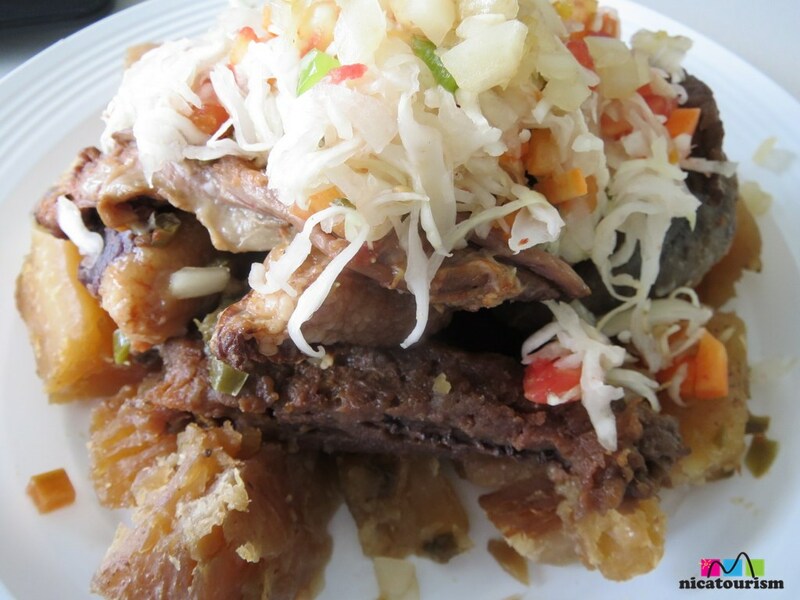 Vaho (or baho), pronounced 'ba-ho' or 'ba-o' dependiendo on who you ask, is one of Nicaraguan's most popular dishes...typically a Sunday favorite although you can find it in specialty cafes any day of the week. 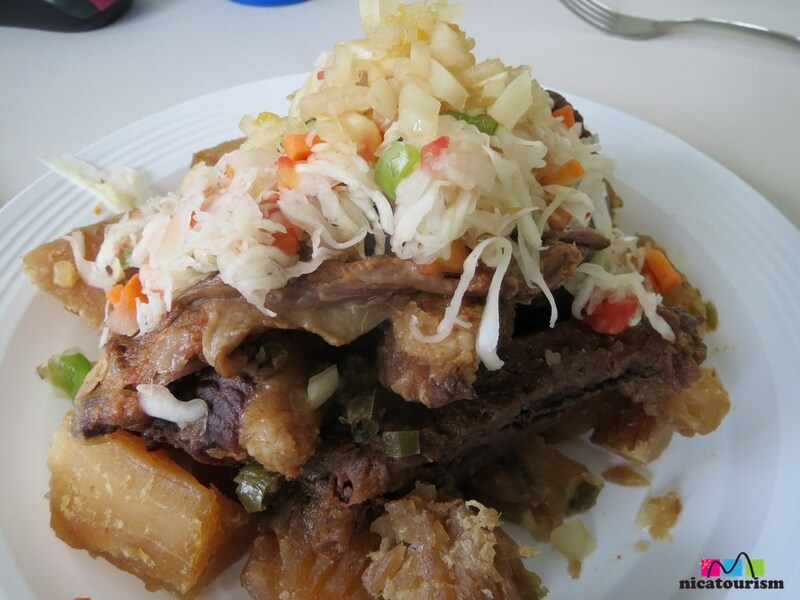 I ate this particular plate in Ciudad Sandino on a Friday...and they called it 'ba-o'. As you can see it's made of beef, yuca, green plantains, ripe plantains, tomato and cabbage salad with an onion, lemon and spicy pepper dressing to top it off. Its not one of my favorites but its good. Definitely worth a try on your visit to Nicaragua.